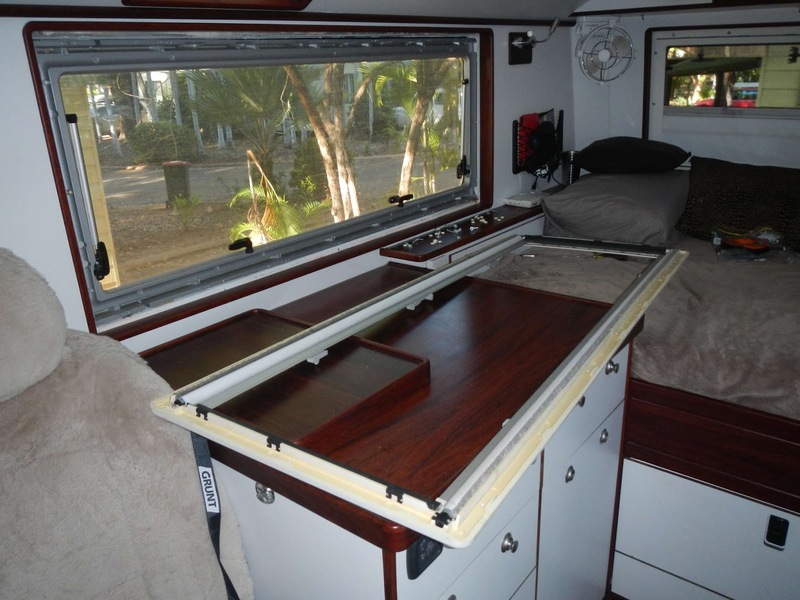 I'm currently in the design and research phase for building a Mog based camper. One of the few remaining ideas that I am still waffling back and forth on, is the idea of having an opening wall. 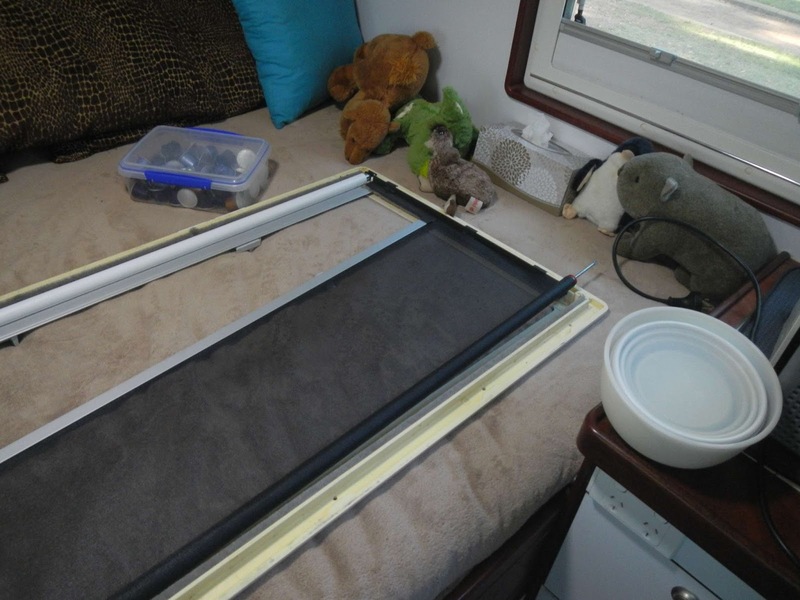 This would be positioned on the curb side beside the table/bed area, and would have a large window in it that also opens and is screened, but when weather and lack of bugs allows, it can be fully opened to provide an outside seating area while still inside the camper. The plus side of this is the obvious greater view/connection with the outdoors, and also if there is ever a need to move large items such as a mattress/dead fridge, etc...it would possibly be easier than the door. The downsides are..a loss of structural rigidity on that wall that needs to be compensated for. Another potential leak. Also, a lack of premade fibreglass frames of this size to avoid thermal bridging. I have seen this used on Bimobil, which is where I got the idea. I would love some feedback from folks who have experience with it, of other potential pluses or minuses to ad. I always thought that those large opening walls on the Bimobil were pretty cool looking. I wonder how often people actually use them, though. It would be neat to hear from people that have them. I bet there are as many opinions out there as there are trucks. It probably just comes down to your preferences and maybe where you will be traveling. It's easy for me to fantasize about eating dinner in Baja while watching the sun set over the ocean through one of those big openings. We are just finishing up the inside of our new habitat on our mog, and my current thoughts of a large opening is that we would be giving up too many other things inside to accommodate it. We carefully placed all of our windows to provide as much wall area for storage as possible. I think for us that having a large opening would use up too much wall space. Our box is 11' 6" feet long, and we will be doing some trips that are 5-6 months, so storage and other layout feature are more important to us than having a large opening. I also wonder about bugs like you mentioned. I don't think I have seen one of those large openings with screens. If they had the option for even temporary screens (Velcro around the frame? ), maybe that would be a good idea. Pretty much everywhere we have ever gone (North America or international) had annoying bugs of some type especially in the evening when I could envision opening the side up. We have traveled in a number of places (like Africa) where bugs are a real health topic, too (tsetse flies are nasty!). That being said, in the US, we have backpacked, tent camped, and used our roof top tent a ton where we were happily outside all day/night. Those were always good times, so maybe the bug topic isn't really relevant based on your attitude. Our new habitat has 50 mm composite side walls and everything else is 83 mm thick. From a structural perspective, I think it could handle a custom large opening frame, but I imagine that it would impact the stiffness of the box some. I made a steel and aluminum frame for our pass-through, so I'm not sure that a big side opening would be any worse cold-bridging than that anyway. Firstly we love them but it just didnt lend itself to our other aspects such as a U shaped seating area..
Two things to remeber are that the internal mechanisms pretty much dominate the inside of the wall making it hard to integrate some seating arrangments. Secondly when we were looking , none of the manufacturers, Bimobil and other big german constructors would put the large opening on the same side as the door, claiming it took too much strength out of the overalll structure on one side. ( GRP ). This does actually make sense but again didnt fit with our designs. This is a popular option on GXV vehicles when there is dinette seating. Constructing a big opening like you mentioned shouldn't be a big deal for any expedition truck builder. They have more resources and knowledge to their disposal as a first time builder. As mentioned above there are several things to consider: structural strength, mechanisms that are potentialy getting in the way and also potential water intrusion from heavy rain. Another thing to consider is damage through wind! I have seen many awnings and a couple windows being ripped apart from sudden wind gusts. Can't imagine what it would do to a bigger part of a sidewall! In any case, it's possible, but with many trade offs. As much as I like the idea, I also like K.I.S.S.....also, LostintheWorld, your comments about both the seating arrangement, and loss of storage (this is going to be a long term living arrangement for me) echo some of my concerns. The one thing no one commented on, that is a bit of a concern for me is the access through the cabin door. Most available doors seem to be maximum 61cm wide. Has anyone found this to be a problem when needing to move items such as a fridge, in and out due to needing to replace one? Victorian, I haven't forgotten about dropping by sometime, just been swamped with trying to get my property sold so I can start this build! As long as you are staying with RV size fridges you should be fine with regular door sizes. When I cut out the front bulkhead on our German army box to add 29” to the length of the cabin, we had to put our Splendide washer/dryer in the cabin before the addition was completed. It’s there forever, won’t fit through the door. The Waeco fridge does fit though. I wouldn’t put a big opening in a cabin, plus the Mog builds I’ve seen are on a relatively small platform. We have a lot of windows in our truck, but need the bug screens all the time, the idea of a big opening is ok, but we would never use it unless we had screens. In saying that, having only a few windows like some of the European trucks, we get very claustrophobic. Agreed totally. We have Seitz windows and their bug sceens only stop butterlies. Anything smallercthan this sail past. We have now developed an overlay screen on each window which has has been 100% effective. I am not sure this could be applied to a large opening so it would leave you vulnerable. Similar to the large side opening door in a panel van. Hard to secure. Yep that's a big down side on the Seitz windows. We replaced our Seitz screen mesh with a much finer one, and that works great.